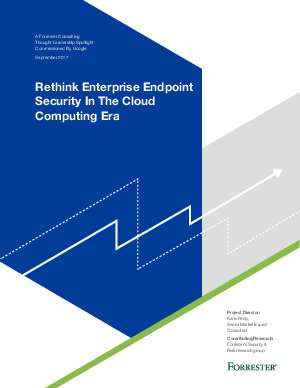 In June 2017, Google commissioned Forrester Consulting to evaluate enterprise challenges and best practices for endpoint security in the cloud computing era. Forrester conducted a global online survey with 1,221 security decision makers at enterprises that use cloud services. Our study showed that companies need to take a broader view of endpoint security that includes all on- and off-network devices and software with access to company data. Download to learn more!